On September 21, 2016, the Bank of Japan complemented its Quantitative and Qualitative Easing with Yield Curve Control. The BOJ began targeting the 10-year yield at zero, allowing it to move around 10 basis points away. It took the market a bit of time to adjust, but it did. In fact, the BOJ has been able to gradually reduce the amount of bond it is buying without the investors concluding it was tapering. Moreover, both in February and earlier this week, when the BOJ felt obligated to reinforce the yield cap by offering to buy an unlimited amount of 10-year JGBs at 11 bp, there no sellers. Of the four occasions the BOJ has made this offer, it has only actually bought bonds once. The US 10-year note was yielding near 1.70% and the 10-year German Bund yield was near zero. Nearly two years later, the US yield is near 2.95%, and the German yield is around 40 bp. Japan has managed to resist the rise in global yields. BOJ officials had suggested that if the rise in global interest rates was spurred by stronger demand, and this demand would spillover to Japan, it would consider raising the 10-year target. 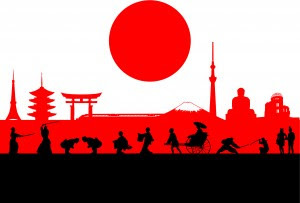 However, Japan's economy contracted in Q1 and appears to have firmed in Q2, leaving growth net-net flat in H1. It will be reported on August 9 in Tokyo. Today's release of the preliminary July manufacturing PMI warns that Q3 is off to a slow and disappointing start. It fell to 51.6 from 53.0 and is the lowest since November 2016. Progress toward its inflation target has stagnated. In June, headline CPI rose 0.7% year-over-year. The increase, however, reflects the rise in oil prices. Excluding fresh food prices, which is the rate the BOJ targets stands at 0.8%, unchanged over the past nine months. Excluding both fresh food and energy leaves Japan's CPI at a lowly 0.2%. It has not been above 0.5% for two years. The nearly 8% pullback in oil prices so far this month does not bode well for the July print. What is the BOJ to do? Some have suggested lowering the inflation target. This seems reasonable, but there has been a great deal of political investment in the 2% target, and there is concern about the loss of confidence that could result. BOJ officials appear to have concluded that the unorthodox monetary policy will likely become orthodox. That is to say, the parameters must be flexible enough to allow it to be sustained for an unlimited amount of time. In order to do so, the BOJ wants to minimize the negative side effects, and this is on the banking system. The Yield Curve Control has the deposit rate at -10 bp and the 10-year yield at zero. The possibility that it may adjust its 10-year yield target higher to steepen the curve spurred a dramatic market reaction, apparently with ripple effects around the world, including helping to arrest the flattening of the US coupon curve. China's policy shift toward stimulating domestic demand through monetary and fiscal levers may help extend Japan's capital investment cycle. While this may provide additional aggregate demand for the economy, it may not help the BOJ. Raising the target on the 10-year yield might not help steepen the yield curve and take some pressure on Japanese banks if other parts of the coupon curve reflect the increase. On the other hand, there does not seem to be much appetite to push the deposit rate deeper into negative territory and/or have the negative rate apply to a wider range of funds at the BOJ. Some suggest the BOJ should cap the yield of shorter-duration coupons, Yet the yield curve is negative out eight years. Japan's 2-10 year curve is about 20 bp. The similar curve in the US is about 33 bp today, and US headline inflation is 220 bp higher. The BOJ is in a bind, and there is no obvious solution. Before quantitative easing, the BOJ had been conducting regular Rinban operations, which are purchases of government bonds to permanently inject liquidity into the banking system. The BOJ had near-zero interest rate policy for around 20-years before pushing the deposit rate into negative territory. The challenge now as it was then is to sustain the unconventional policies for the foreseeable future. And to maintain the extraordinary support the program needs to be tweaked, but there is no strong urgency that it must make the decision at next week's BOJ meeting. We suspect that the end of October meeting would work just the same.